Regarded by many as an abomination - a forbidden blend of two species - orphaned cub Wren Tigarian has grown into a bitter loner, shunning both Were and human company alike. Until, that is, Marguerite D'Aubert Goudeau walks into his life. The daughter of a prominent US Senator, Marguerite hates the socialite life she's forced to live. Still, she has no choice but to try and conform to a life in which she feels like an outsider. The world of the rich and powerful humans is never to meet the world of the Were-Hunters who exist side by side with them - unseen, unknown, undetected. But in order to protect Marguerite, Wren will have to fight not just the humans who will never accept his animal nature but also the Were-Hunters who want him dead. It's a race against time in a world of magic without boundaries that could cost the two not just their lives, but their very souls. Wren is Tigard, a rare mix of white tiger and snow leopard, and for his entire life he has been treated as an abomination by both sides of his family. He has lived at Sanctuary since the viscous murder of his parents when he was a child but although the Peltier family have allowed him into their home they have never fully trusted him. Wren has spent his entire life being looked down on and feared so it's no wonder he chooses to keep himself to himself and avoids contact with others as much as possible. Everything changes for him when he meets Marguerite, a beautiful human woman who somehow calms his inner beast even while everything about her calls for him to claim her. Wren doesn't want to drag Maggie into his world, especially since he is scared of losing control and hurting her, but when enemies from his past come calling he will do whatever it takes to keep her safe. 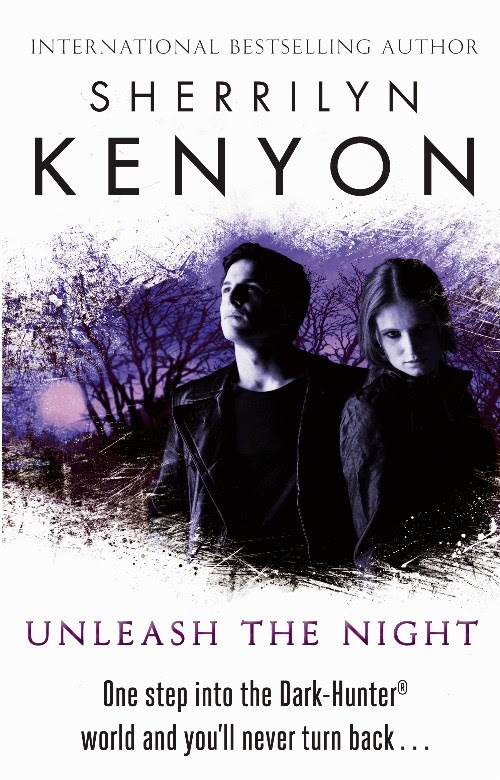 Unleash the Night has a slightly different feel to it than the previous books in the Dark-Hunters series but I enjoyed it just as much as the others. The romance between Wren and Maggie was just so sweet and Wren has an adorable innocence to him that made me fall for him in a big way. As much as Wren is strong and capable of defending himself he is also very shy and he doesn't feel worthy of any woman, especially not someone as perfect as Maggie. Maggie has spent her whole life trying to live up to her senator father's expectations, she hates being in the limelight and just wants to be able to live life on her own terms but her father is always pushing her to follow his plans. With Wren she is finally able to be completely herself, he doesn't want to change her and he encourages her to follow her own dreams. They fall for each other quickly but their relationship has a natural pace to it and never feels rushed or forced. It's like that youthful rush of first love that I'm pretty sure most of us have experienced at some point in our lives and I enjoyed seeing it again through Wren and Maggie's eyes. I've always enjoyed spending time at Sanctuary with the bears so it was great to learn more about all the different shapeshifters. There is a lot of rivalry amongst the different Were Hunter tribes and although Wren comes from a very powerful family he is treated as an outcast by everyone else. I've always really loved the whole Peltier family but I have to admit I was disappointed with Nicolette in this book, the way she treated Wren really upset and annoyed me, I honestly expected better of her. Thankfully the rest of the family aren't quite so hot headed or prejudiced and she had gone a small way towards making up for her actions by the end of the book. I'm really enjoying the developments we're seeing with Aimee but have a feeling she's going to have a lot of trouble getting her family to accept the man who seems to have stolen her heart. I don't want to say too much more about the plot but there is a time travel element that I really enjoyed, I love that Sherrilyn Kenyon always manages to find new ways to keep this series fresh and interesting. It was also great to catch up with some familiar faces (I really want to see Fang & Fury get their own books!) and I'm definitely curious about Savitar - I have a feeling we're going to be seeing a lot more of him as the series continues - I hope so anyway! 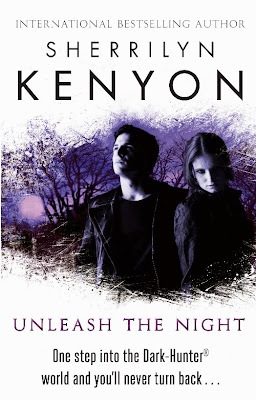 Unleash the Night is another fab book in the Dark-Hunters series and I'm so glad that I have so many left to devour before I catch up and have to start waiting between instalments.